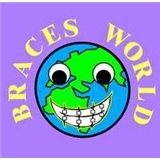 Braces World Orthodontics (Freeport) - Book Appointment Online! East Elmhurst, NY Orthodontic Treatment Queens, NY Nina Laracuente DMD PC Dr. Nina Laracuente DMD PC is able to treat a large number of tooth and jaw problems through orthodontic care. Dr. Laracuente is the only female, Latin orthodontist in Queens, NY and she is fluent in Spanish. She has been practicing orthodontics since 2005 and has been employed at Braces World in East Elmhurst, NY for two years. Learn More About Nina Laracuente DMD PC: Orthodontic Braces – Metal braces, clear braces, and Invisalign Orthodontic Care – Troubleshooting tips for caring for your braces Orthodontic Disorders - We treat overbites, teeth crowding, jaw misalignment and more In-house financing options and payment plans are available with no interest fees.